Buying or selling a home or another property can be a nerve-wracking experience. In this process, an experienced real estate attorney can smooth the way while helping you avoid costly mistakes. At The Law Office of Dawn R. Underhill, we help facilitate and achieve successful real estate transactions. We can review the sales contract to make sure it conforms to the agreement you made. We can review the Residential Real Property Disclosure Report to make sure it reflects the true material state of the property. If you are selling your home yourself, we can provide all the documents you will need and walk you through the transaction process. Whether you are buying your first home or selling your fifth, we provide all of the support you need. In successfully buying or selling a home, speed and efficiency are critical. At The Law Office of Dawn R. Underhill, we react quickly to all real estate matters requiring the services of an attorney. An important part of our practice at The Law Office of Dawn R. Underhill is assisting area buyers and sellers in making successful real estate transactions. It is extremely frustrating for both sides to get to the closing and learn there are still problems with the documentation and contracts. Our firm’s strengths include sharp analytical skills and a meticulous eye for detail. We prepare error-free contracts on our own and comb through your existing contracts to clarify ambiguities and to anticipate issues that may arise. Our firm works with both residential and commercial properties, assisting with purchase and sale agreements, commercial leases, loan transactions, foreclosures, title issues, zoning problems, and homeowners association issues. We conduct due diligence to ensure that the transaction will go through without a hitch. We draft transactional papers ourselves and review papers drawn up elsewhere for errors and completeness. 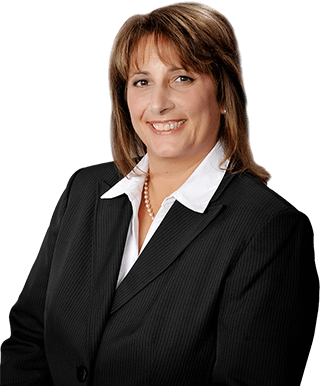 The Law Office of Dawn R. Underhill is adept at assisting clients with buying, selling, developing and leasing property. We are equipped to handle all your real estate issues. Our goal as your attorney is simple: a smooth transaction from start to finish. For a free consultation with Illinois residential real estate lawyer Dawn R. Underhill, call toll free 877-Law-Dawn (877-529-3296).